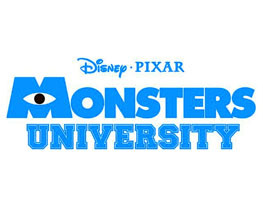 Teaser for Monsters University released! Forget Brave, this is the Pixar film we’re all looking forward to, right? Out over here next July, the Dan Scanlon-helmed sequel to the beloved Monsters Inc will look into the story of Sulley (John Goodman) and Mike (Billy Crystal) back in their college days, and before they were best buds. The makers of Monsters University have now released four ever-so-slightly different trailers for the upcoming film, which you can check out at their Facebook page. Fans are also being encouraged to vote on their favourite one, which seems like a vaguely pointless thing to do but hey, what the hell. Perhaps it will distract us from the mind-numbing boredom of our daily existences for thirty seconds. So which is the funniest, guys? Our vote would probably go to Teaser #1. But all voting nonsense aside, this looks pretty good right? Whether it will be as good as the original we can’t be sure of. I mean, a Monsters Inc film without Boo? Are you all excited? Give us your delicious mind thoughts below. Tags :Billy CrystalBraveDan ScanlonhotteststoryJohn GoodmanMonsters UniversityMonsters, Inc.